by West Papua Media from sources in Merauke. A local Papuan man has been murdered by an elite Kopassus special forces officer in a village in the remote district of Boven Digul, near the Fly River area adjacent to the West Papua – PNG border, after a local man was accused of sexual assault of a military officer’s wife, according to local human rights sources. The shooting on Monday September 3, occurred after the victim, Januarius Kimko, was accused by a TNI officer (from the Boven Digul Koramil company of the Merauke 755 Battalion) of sexually assaulting his wife, despite protestations of innocence from the accused man. 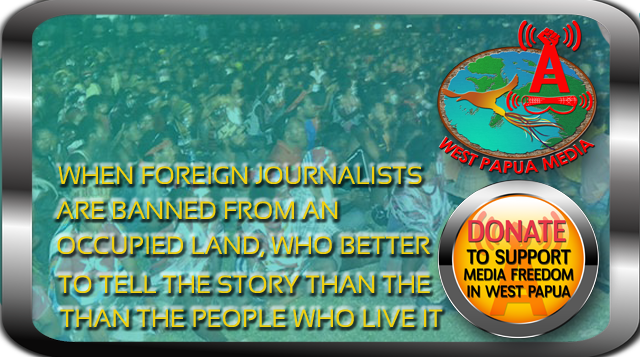 West Papua Media has been unable to fully and independently verify the claims from human rights sources, due to the extreme difficulty of communication in these remote areas under military control, however, he investigating sources have been highly reliable in the past. 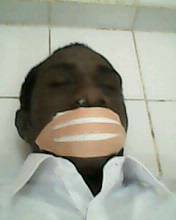 According to local human rights sources and witnesses interviewed on the grounds by Merauke-based media activists from the West Papua National Committee (KNPB), Kimko was arrested by “Buser” commandos from a joint military/police team in Boven Digul after the military couple reported the alleged sexual assault to the local Police. The special BUSER ( BU = Berburu (hunting); and SER – serangan (attack)) is a joint “search and destroy” joint SatGas (taskforce) squad between Brimob and Kopassus, whose role is replicated by part of the “anti terrorist” Detachment 88, funded by Australia. All sections of this unit receive training and supplies by the Australian Defence Forces. No information has been received that show if serving members of D88 are present in the Boven Digul unit. The joint taskforce was immediately activated and conducted house to house raids across the town on Monday night whilst trying to capture the man accused of sexual assault, terrorising local residents. 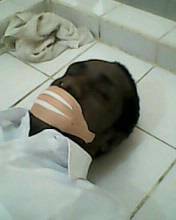 An ambush was set on the house of Kimko, who was in his home in Ememes Ambonggo complex. He was arrested and emerged with police without resistance, as he was to be conveyed to the police station for questioning, according to witnesses. As he reached the street, a Kopassus intelligence officer from the Satuan Gagas Intelijen (Strategic Intelligence Unit) rushed the victim and pressed the muzzle of his weapon (type unknown) against Kimko’s side. He then shot the victim four times, with the bullets penetrating the victim’s thigh and left wrist. Witnesses reported to the investigators that as soon as Kimko was shot, members of the Buser Commando and TNI officers at the scene immediately threw his body in to a car, and conveyed him to an unknown location. Januarius Kimko’s body was discovered by human rights sources at the emergency room of Merauke District l, over 120km from Boven Digul, late on Wednesday September 5. 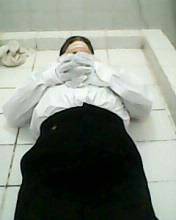 His body had been in the custody of the TNI of Koramil Kabupaten Digoel from his shooting until the victim’s burial, preventing an independent assessment of his injures. Kimko’s family were not informed of his death until after his burial. The Coalition for Justice, the Rule of Law, Human Rights and Public Service (K2PH2P2) has expressed its concern about conditions in the district of Keerom during the first months of this year. It said that the governing body is far from being capable, responsive and accommodative. Government workers are largely incapable and unresponsive and lacking in discipline in their work. In a press release issued on 1 August in Abepura, a group of leaders including church leaders, civil society leaders and human rights activists expressed their fear that development in the district which was intended for transmigrants is stagnant. ‘Discipline in the civil service is very bad. They live in Jayapura, arrive in their offices at 9am and go home soon afterwards, which means that the service they provide is very bad,’ said Bonefasius A. Muenda of the Keerom Social Institution. Most of them live in Jayapura and arrive in their offices quite late in the morning. Even worse, some of the civil servants only go to their offices twice or three times a week. For the rest of the time, they stay at home. But there are other problems as well, according to the Coalition. In education for example, Pastor John Jonga, a leader of the Catholic Church in Keerom, said that hundreds of children receive no attention at all because there are no teachers. He said this was more likely to be thousands of children, not hundreds. Ironically, billions of rupiahs are allocated to education but the children are waiting for their teachers. ‘In Towe Hitam, 36 members of the armed forces are paid for by the government but there are no teachers. This is a crime,’ said Pastor Jonga who is a recipient of the Yap Thien (Hien) award. Meanwhile, the chairman of commission A of the provincial legislative assembly, Yosep Turot, said that some officials are so far from adequate that they should be sacked from their jobs. He said that there are a number of reasons for this, including the purchase and sale of certificates among officials which has an impact on the performance of the government.